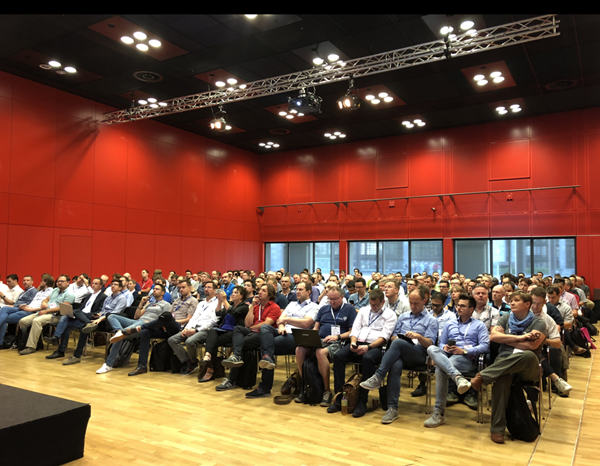 This week, from May 28th to 30th 2018, European Collaboration Summit (ECS) took place in the Rheingoldhalle directly on the beautiful Rhine bank in Mainz, Germany. 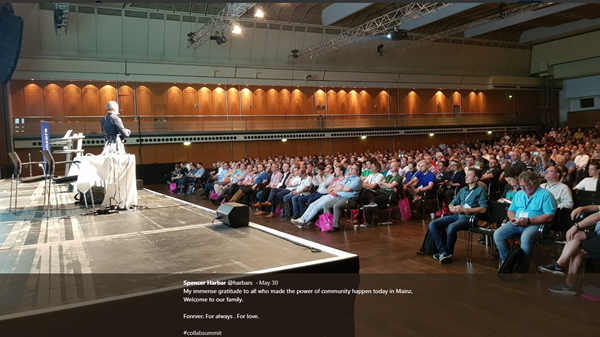 We enjoyed the community conference together with about 1,600 IT-colleagues and we had a blast! ECS (#collabsummit) is the largest community-driven conference in Europe in 2018 with a focus on Microsoft’s cloud services Office 365 and Azure. ECS is a three-day community event, based on the previous SPC Adriatics community events that took place formerly in Zagreb, Croatia, from 2012 to 2017 and more community events, see more details at the FAQ's. Moving the ECS to Germany, the organizers - see Contact - could enlarge the event immensely. So, the ECS 2018 event and the setup was amazing, see details at Schedule. On Monday, May 28th, there was a Full Day Workshop-Pre-Day offering six different workshops. 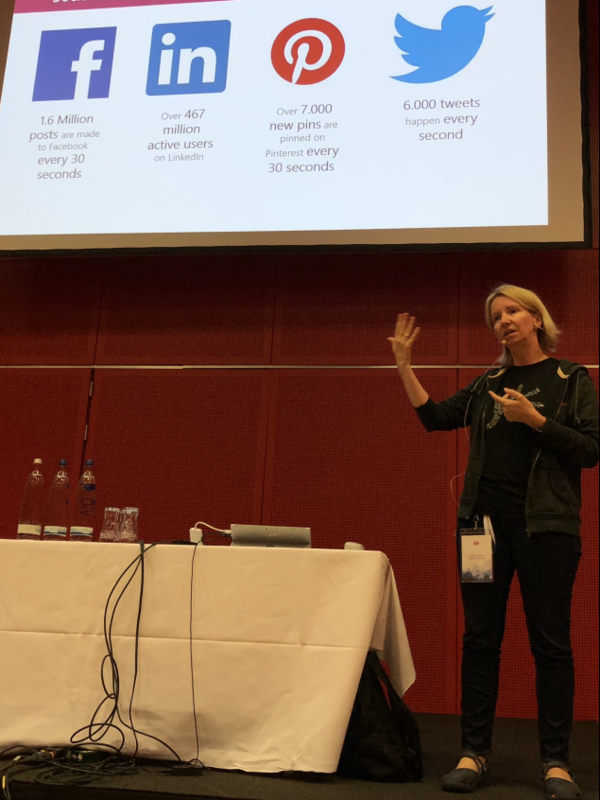 Our Martina Grom and Nicki Borell did the workshop "Information Security With Azure and Office 365 and GDPR Mythbusters" where I could also show a short workflow demo. On Tuesday, the Keynote and the sessions started. In total, there were more than 100 sessions to choose from. 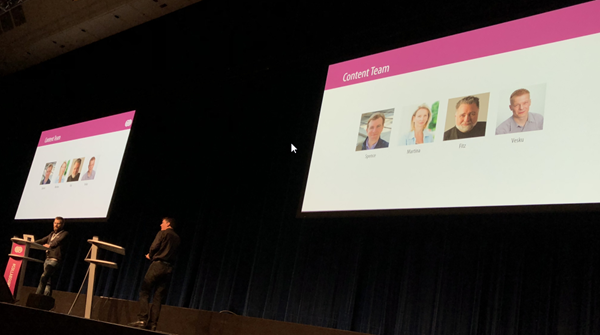 On Tuesday morning, Matthias Einig and Adis Jugo initiated the ECS Opening Ceremony: #collabsummit is a community-organized event… Thanks to the organizers Adis Jugo, Matthias Einig, Margit Jugo, Spencer Harbar, Nenad Trajkovski, and Toni Frankola and all the helping hands supporting that event! 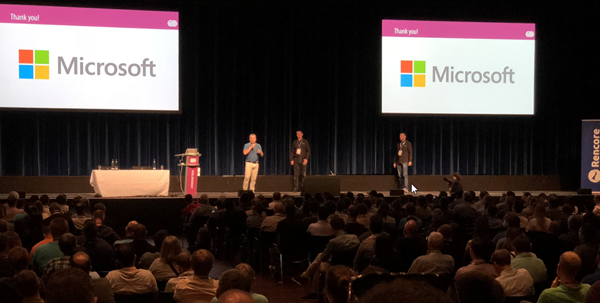 ECS had more than 1,600 IT Professionals, more than 80 Breakout sessions with 6 full-day workshops on the pre-day, Microsoft speakers, about 70 Microsoft MVP’s as speakers (and about 100 at the community event), Regional Directors, and Microsoft Certified Masters. Participants could attend for a very favorable cost. The whole event was impressive! It was great and an honor to have Dan Holme, Director of Product Marketing at Microsoft, delivering the ECS keynote about the latest news of SharePoint (announced just a week ago SPCNA, see our article here) . 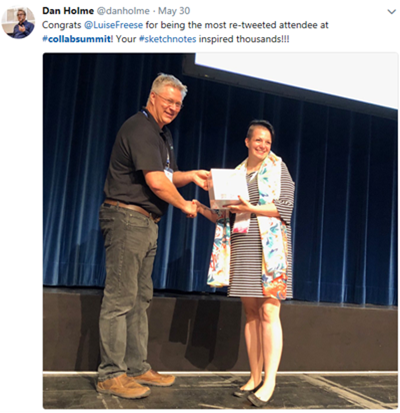 Many thanks for your continuous community support, Dan! The event’s international speakers lineup was amazing (hope I did not forget anybody). Martina delivered the workshop and the session "Enabling the protection, detection and response to cyber-threats" and was part of the "GDPR Panel". I did the session "Real world use cases solved with Office 365 and Azure" and we had the pleasure having a full session room. We hope our contributions were useful and you enjoyed the sessions! 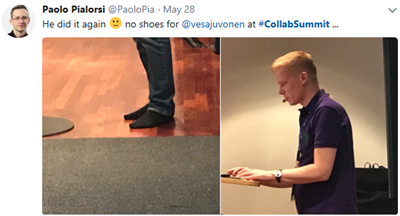 See also some event feedback in Social Media in Twitter at #collabsummit. 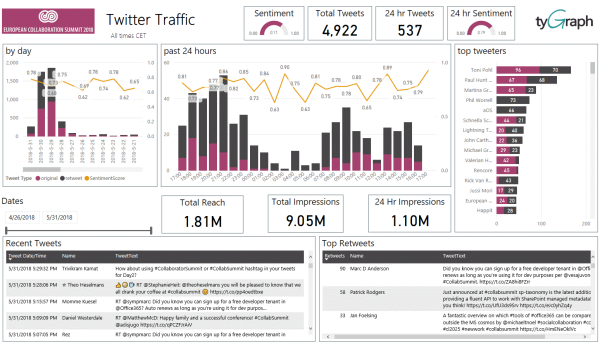 Many thanks to our friends at TyGraph who – as we are used having that statistics – provided the Twitter statistics of ECS18, again with an impressive reach! We, atwork and Martina Grom, were also busy. 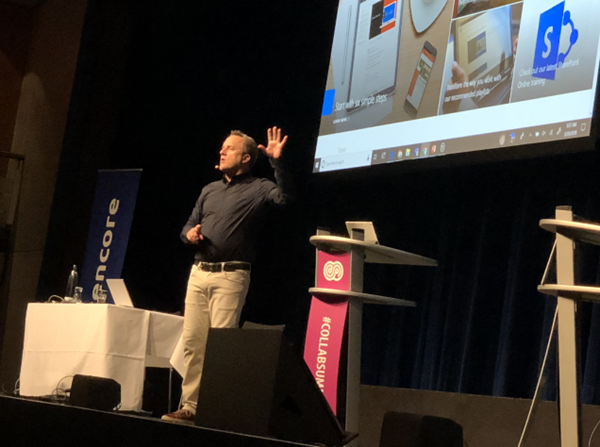 Oh, I did a short interview (in German) about my session, automation and PowerApps and tools with Michael Greth live in Facebook, you can watch it here – thx Michael. 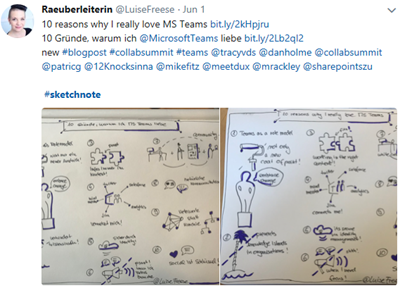 @Raeuberleiterin surprised with amazing Session Sketchnotes! It was awesome to have such great speakers as Dan Holme, Vesa Juvonen and many members of the SharePoint PnP Team, Mike Fitzmaurice, Tony Redmond, and so many other great speakers at ECS. 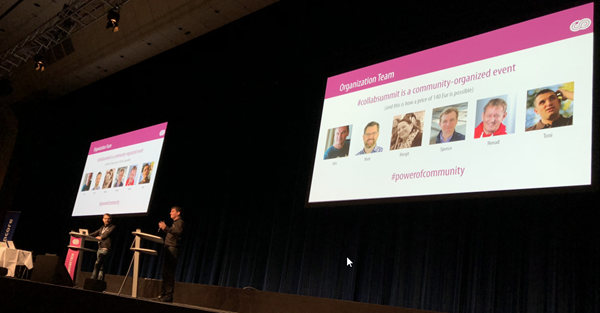 As in the last years (2012, 2013, 2014, 2016, 2017), Martina and I were proud to be part of that extraordinary community event and to contribute making ECS such a great event! Thx, Spencer Harbar for the Keynote photo and the tweet. Matt clarified: Fitz did a homage to this rap on YouTube: Curb your Bitconnect. After that wake up in the afternoon, Dan and the ECS team said Thank you and the sponsors gave away a bunch of cool prizes! After the event, on the holiday day on Thursday, many of the organization team, sponsors and speakers could enjoy the beautiful Rhine valley and relax after that big conference. For us, the week at ECS felt like a big family event and we enjoyed it very much. 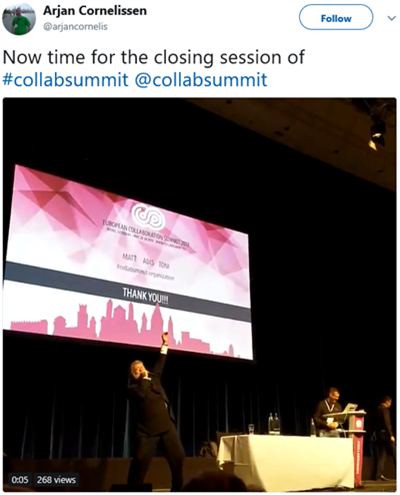 At the end, it only remains to say THANK YOU to the organization, the sponsors who made this event possible, to all the speakers, to the many helping hands and to all attendees making #collabsummit such a huge success! The good news to conclude: European Collaboration Summit will return next year, from June 3rd to 5th 2019, again to Mainz, Germany! Save the date! Hope to see you there again! See all our data in the imprint.